Lexus RX 450h is the simplest, economical, fuel efficient midsized luxury SUV with powerful performance. In 2010 model Lexus has redesigned its RX hybrid crossover, added few modifications and changed its moniker from 400 to 450h. These changes make the RX 450h one of the most fuel efficient, high tech and luxurious SUV in the market. The electrically assisted V6 engine has grown from 3.3 to 3.5 litres. The new engine gives 450h with best fuel economy. RX 450h also gets new rear suspension and more spacious and comfortable interior. It is now more refined car and if you are loyal to Lexus, you will love the new Lexus RX 450h. Hybrid RX comes with many optional features and one of the most exciting feature is navigation system with remote touch, it functions like a computer mouse. Some of the people find it difficult to learn, but it surely gives you exciting experience. The strength of RX Hybrid is fuel economy, which makes it the best economical mid sized luxury SUV for money. 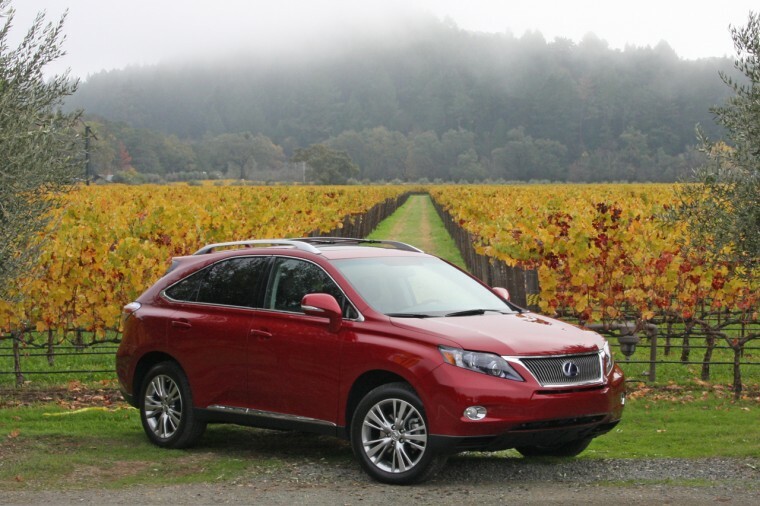 Lexus RX hybrid does 32 mpg in city and 28 mpg on highway, which is the best fuel economy amongst its class. Many reviewers like the performance of the RX 450h, its gasoline powered engine produce heavy acceleration. 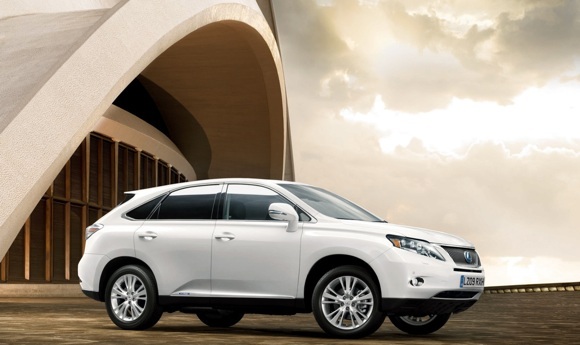 Lexus RX 450h is powered by 3.5 litre V6 engine with two electric drive motors, which makes 295 horse powers. It has the ability to drive exclusively with electric motors or with its gasoline engine. Test drivers say that the power is adequate, but sometimes it lacks acceleration. Fuel economy is the play card for Lexus RX 450h, 2010 model achieves 30 mpg in city and 28 mpg on highway and with all-wheel drive and 32 mpg in city and 28 mpg on highway with front-wheel drive. Test drivers find the handling quiet smooth and they especially like the break pedal feel. Some of the test drivers didn’t like the handling due to increase weight in 2010 model. RX 450h interior is luxury and very well equipped with five seats. Reviewers like the new remote touch controller, which resembles likes computer mouse. Seats are generally spacious and comfortable, but few test drivers find rear seats lacks cushioning. RX 450h provides good cargo space of 40 cubic feet with all seats in use and 80.3 cubic feet with rear seats folded. 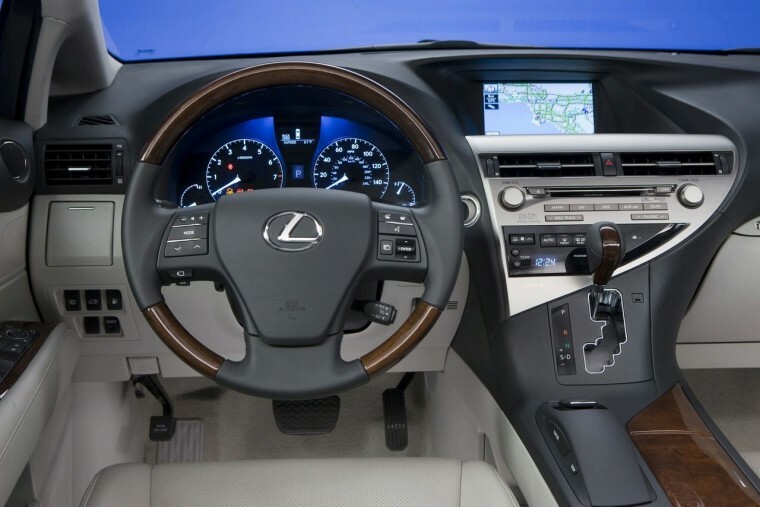 RX 450h has many standard features like power tilt-and-telescopic steering column, maple or walnut interior trim, dual-zone automatic climate control, an auxiliary iPod audio port, Bluetooth capability, a nine-speaker Premium Sound System, display controls, power-adjustable outside mirrors and a leather-trimmed steering wheel with audio. Reviewers like the RX 450h overall look, which is similar to RX 350. Both models have received a new style, which is called “L-Finesse”. RX 450h receives 5 out 5 rating in both frontal and side impact crash tests. It also gets 4 star in rollover test and the rear crash test also receives the good rating. The most popular safety feature in RX 450h is Vehicle Dynamics Integrated Management, which integrates braking, steering, Vehicle Stability Control and Traction Control. There are other safety features available like HDD Navigation System, Intuitive Parking Assist, Wide-View Side Monitor System and Pre-Collision System with Dynamic Radar Cruise Control. RX 450h is the most reliable car it comes with four years or 50,000 miles warranty and power-train warranty for six years or 70,000 miles (whichever comes first). I wanted to know the price for a used RX450h car 2010 with mileage of 22 miles. I live in Amman Jordan and thinking of buying this car. I wanted to see the best deal on such a car.